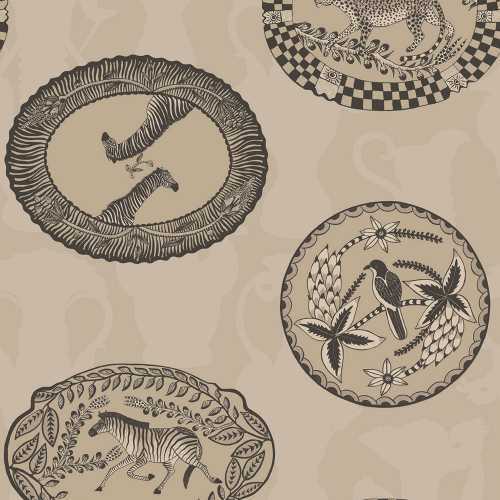 The Ardmore Matrinah 109/4020 design is drawn from African classic ornamental patter and dish designs all featuring intricately drawn birds and animals edged with decorative borders that imply the image of plates. The plate motif is the strongest aspect in terms of colour of the entire Matrinah design. The background of the pint consists of a faded vase like two-toned vase print resulting in a silhouette aesthetic due to the block colour shapes. 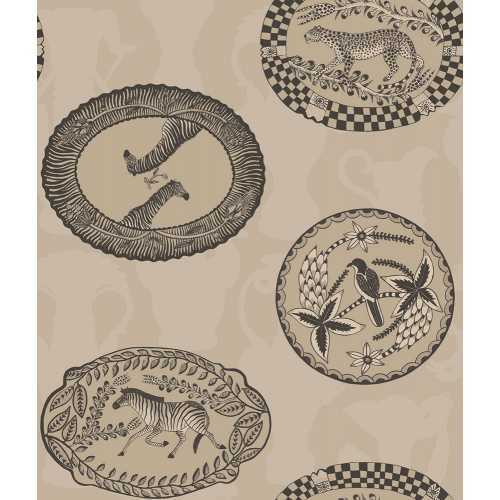 The Matrinah 109/4020 consists of a mostly brown colour palette and a large variation of tones. The wallpaper measures at 52cm by 10meters length per roll with a 61cm repeat. 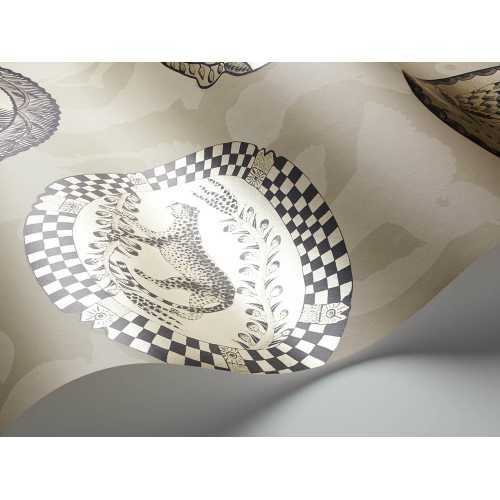 The designers behind Cole and Son have collaborated with Ardmore Ceramic Art (hence the name of the collection) to draw inspiration from African traditions, culture and art to bring you a bold and stylish new range of wallcoverings.